On Friday evening, I attended an engaging presentation by American photographer Tillman Crane, hosted by the Hexham Photography Group. To me, it’s always fascinating to gain insight into the life and mind of such an energetic photographer and one who makes such a vast amount of work. Easily done in this digital age, you may think, but Crane works meticulously and exclusively with large format film cameras ranging from 7×5″ to 11×14″. Shooting literally thousands of sheets of Ilford’s legendary FP4 Plus, Crane rigorously whittles these down to the selected few images for his next book or exhibition. And the final medium? Platinum prints, a truly sumptuous way to complete the photographic process. The first relates to film production. Crane made an interesting observation relating to the exploding Chinese economy, that there is an extraordinary growing interest in film photography among the population. 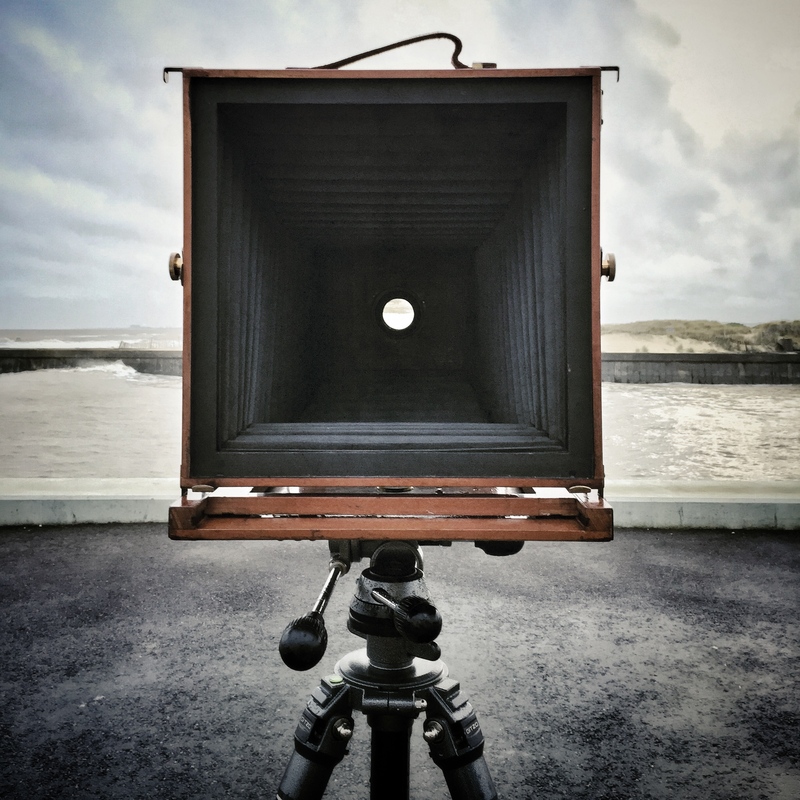 Not just film photography but large format film photography. Now, I guess the perception is that global film production is in continual decline? However, there is a greater number of photographers per capita than there has ever been comparatively in The States. So large is the Chinese population, of course, this means that there is an emerging market of some 25-30 million new film photographers! My second reason for writing? The discussion I enjoyed with Crane about the use of Digital Negatives. To refresh your memories on this topic, you may like to see my first post on this subject by clicking here. I have been carefully researching the subject of Digital Negative production and am glad to report that my first batch of material is now winging its way from The States. “Watch this space”, as they say, and I will keep you posted with news on this exciting new service over the coming weeks. 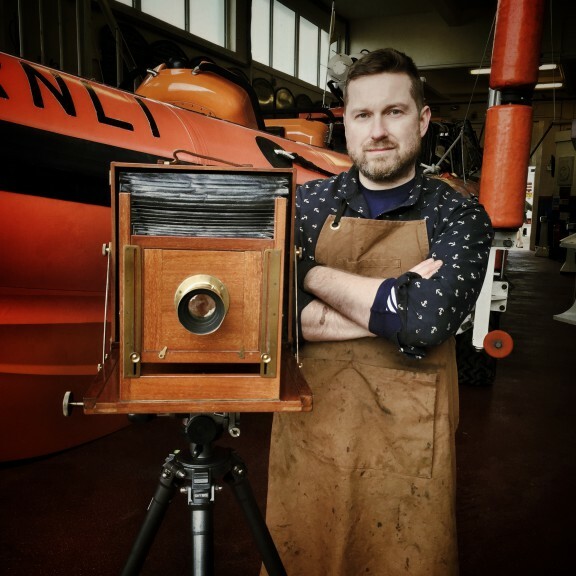 In the meantime, it was great to hear from Tillman Crane that he has certainly found the Digital Negative to be more than equal to the task in the production of Fine Art analogue prints. In May I spent time in North West Mayo as a returning Fellow of the Balinglen Foundation. At my favourite bay next to Downpatrick Head on a clear bright day with the moon over the horizon in a blue sky, I found a circular piece of seagreen, seaworn glass, the bottom of a small bottle. From the same beach I collected seawater in a found plastic bottle (jetsom). I have had a busy time since my visit to Ireland, three trips up to The Isle of Mull and the components have been in my studio for 5 months until I finally got some time to work on ideas that have been in my notebook and in my head. This piece is the first I have made on some new 1mm thick laboratory glass plates I have had imported from Belgium. The half plate “negative” is made by drying seawater, dripped and washed over the plate over two days. Its a knife edge between my will to organise the resulting “emulsion” in a shape of my design and the free will of nature to dry the way it wants. Once the plate is finished, the seaglass is placed gently on the “emulsion” and in the past Iwould have placed the whole plate in my De Vere enlarger and made a limited number of exhibition prints. Now I use a scanner in a dark room – the seaglass is lit with an arrangement of mag-light torches during the scan. The colour is in the glass and the dried seawater. Working with Jack and with archival digital printing has enhanced my work beyond my imagination. With the addition of colour and scale my work and with the search for ever more beautiful papers and inks, the resulting pieces are more jewel-like, more precious than ever. My work is now an incredible mix of Fox Talbot alchemy and 21st century cutting edge craft. Thank you, Paul, for the generous and intriguing insight into your work. Making of Daguerreotype by Takashi Arai from Takashi Arai on Vimeo. During the latter part of last month, I worked on a series of photographic pieces for Holly Lisle as part of the group show, ‘Feminale’, at the Banquetting Hall in Jesmond Dene. Hosted by The Armstrong Studio Trust, these portraits look stunning with their nostalgic and theatrical feel—printed up to 2’x3′ using the beautiful combination of Hahnemühle Bamboo 290gsm and the HP DJz3200 with Vivera Pigment ink-set. The photographs were originated on 35mm transparency – yes, film lives on in certain quarters! The production process in the studio therefore began with high resolution film scans ahead of optimising the images for print. We made one of the pieces on HP’s Clear Film, also measuring 2’x3′, mounted to great effect on mirror glass. The result? A very delicate, metallic feel and quite an unusual sensation whereby the viewer seemingly becomes a part of the artwork.